Identity: Town Square - Hotfixes & Patches - Seite 2 - IdentityRPG | Changelogs - ZoXXen.de - Deine Deutsche Gaming-Community! -Added new VOIP backend system, greatly increasing quality of voice sounds. -Character movement has been refactored to allow for better polish and feature expansion in the future. This also now allows you to sprint in all directions. -Added additional TV sizes in the furniture shop. -The police have carelessly left the door to the basement unlocked. The shooting range functionality will be coming soon. -You can now initiate emotes by using chat commands. Type /emote in chat for a list of options. For example, writing /point in chat will make your character point their finger. -Added a soccer ball to knock around in the public area. -Refactored the way the camera changes when sprinting. It's now based properly on your speed. -You'll no longer hear people in other instances (apartments, cinema, etc). -Added more ambient sounds in character selection. Adjusted the volume of the background music. -Fixed bug with falling popcorn particle animation in the cinema lobby. -Fixed display bug when sitting in a chair while crouched. -The action radial menu will now appear more reliably when interacting with objects that have more than one action (hold your use key). -Adjusted lighting in several interior areas at night. -Fixed a bug which could cause footwear to blink in and out of visibility when running. -Added cloth physics back on the summer dress and flags. -Placed carrots are no longer 6 feet tall. We almost didn't want to fix this one! -Skin is now less likely to be visible through clothing during some animations. -Fixed display bugs with females sitting in chairs. -Fixed alignment issues on some seats in the hotel. -Added missing bathroom fixtures to some apartment floorplans. -Fixed positioning of hipster glasses on females. -You can now properly toggle the display of helper messages. This can be done in your game settings or using the F1 key. -Added a bunch of bandanas to wear. There are about 10 times more to be added yet. -Chairs refactored so that players, especially females, will be seated more precisely. While our focus has been on mechanics for the next module, SWAT, we've put together a bunch of fixes and improvements for today's update! We've been building on the weapon mechanics as our primary focus. Once we feel that the weapons are in a state that we feel is ready for the public, we'll be giving you access to a few in the Town Square. In preparation for this, we've opened up the basement of the police station where the shooting range is located. The patch is rolling out on Steam right now. Drop in to check out the changes! * Added new VOIP backend system, greatly increasing quality of voice sounds. * Character movement has been refactored to allow for better polish and feature expansion in the future. This also now allows you to sprint in all directions. * TVs in apartments are now functional. Play YouTube videos, synchronized for everyone around. * Added additional TV sizes in the furniture shop. * The police have carelessly left the door to the basement unlocked. The shooting range functionality will be coming soon. * You can now initiate emotes by using chat commands. Type /emote in chat for a list of options. For example, writing /point in chat will make your character point their finger. * Added a soccer ball to knock around in the public area. * Refactored the way the camera changes when sprinting. It's now based properly on your speed. * You'll no longer hear people in other instances (apartments, cinema, etc). * Added more ambient sounds in character selection. Adjusted the volume of the background music. * Fixed bug with falling popcorn particle animation in the cinema lobby. * Fixed display bug when sitting in a chair while crouched. * The action radial menu will now appear more reliably when interacting with objects that have more than one action (hold your use key). * Adjusted lighting in several interior areas at night. * Lighting outside is now a bit brighter at night. * Fixed a bug which could cause footwear to blink in and out of visibility when running. * Added cloth physics back on the summer dress and flags. * Placed carrots are no longer 6 feet tall. We almost didn't want to fix this one. * Skin is now less likely to be visible through clothing during some animations. * Fixed display bugs with females sitting in chairs. * Fixed alignment issues on some seats in the hotel. * Added missing bathroom fixtures to some apartment floorplans. * Fixed positioning of hipster glasses on females. * You can now properly toggle the display of helper messages. This can be done in your game settings or using the F1 key. * Added a bunch of bandannas to wear. There are about 10 times more to be added yet. * Chairs refactored so that players, especially females, will be seated more precisely. * Fixed the sky flicker every several minutes. This is a minor hotfix patch to address issues found with the previous update. * Fixed a bug which could sometimes cause people who did not use heroin to see the effects when another player on the server did use it. * Fixed a bug which could cause some microphones to queue speech by default on connection. * Soccer ball reset timer reduced to 5 minutes of inactivity. * A piece of the road clipping into the police station stairwell is fixed up. * It should now be easier to place wall-mounted TVs. * Drug effects on eyeballs will now be more visible. Bloodshot eyes are back. Heroin will also restrict pupils. * Street lamps are now brighter. * VoIP range has been slightly reduced to be more physically accurate. * House edit mode will now be properly forced off when walking out of an apartment area. * Adjusted lighting in streets and police department. * Cinema lobby chairs can now be sat upon. * Added support for might stronger security in the back-end. - Soccer balls have been refactored to produce more realistic physics. We can now also add player controls to the interaction. To start, you can now kick the ball harder if you're holding down your left mouse button when you hit it. - Characters can now turn more sharply, especially at high speeds (sprinting). - Added a little polish to jumping and landing animation. - Fixed a bug allowing you to turn your character while standing from chairs. - Marijuana joints have been removed from the drug dealer. He now sells cannabis seeds instead. - Hydroponics table is now available at the furniture vendor. Use this to grow plants from seeds in your homes. - Drying rack is now available at the furniture vendor. Use this to dry grown herbs in your home. - Dried cannabis can now become small/medium bags of marijuna, or even large bricks of marijuana, depending on the size of the plant(s). 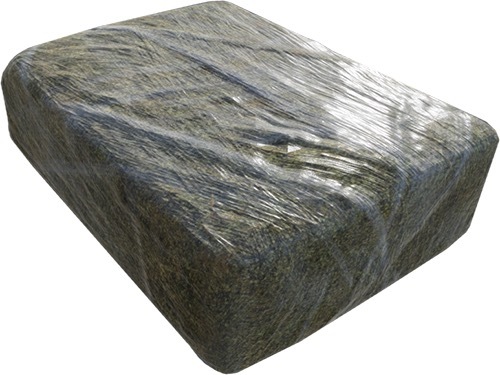 - Bags or bricks of marijuana can be converted into joints of varying quality levels. - Apartments have maximum crafting stations (in this release, the hydroponics and drying rack). The number varies based on size/value of floorplan. - Added functionality to parking meters and bike racks, although they're not useful until vehicles arrive. - Fixed a bug where grow table dirt plots could move after the table was repositioned. - Radial menu for interaction with objects will now appear properly. - Fixed a bug which would sometimes prevent interaction with objects after a radial menu was closed. - Fixed a bug causing desync'd movement when holding items like popcorn. - Exterior lighting, especially during the day, has been adjusted to be more realistic. - Changes behind the scenes to make game testing more efficient for the internal testing team. This should reduce unexpected bugs in future updates.